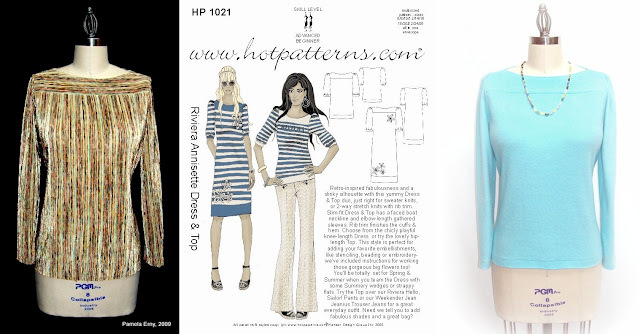 First...Since many wondered what I'd be making with that luscious striped Japanese knit (shown in a previous post) , you'll see it pictured above, made into the HotPatterns Riviera AnnisetteTop. The Riviera Annisette Top has gathered sleeves, but I chose to alter the sleeve pattern and make long plain sleeves instead. Why? I just felt that there was enough interest in the fabric itself, and didn't want to muddy it up with more details. 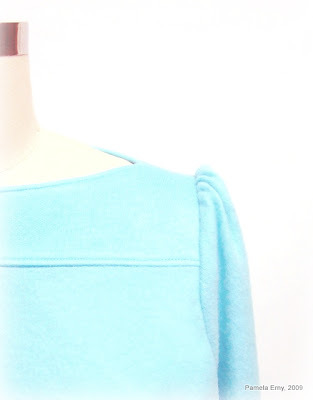 Now to begin this discussion of gathered sleeve caps, take a look at the blue top, above. 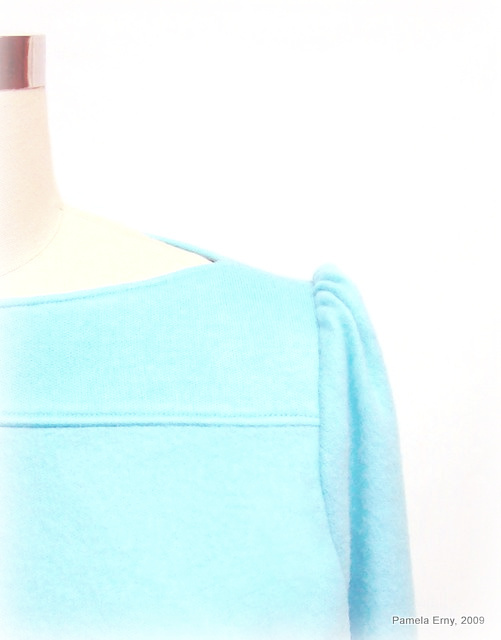 It has gathered sleeves that are very subtle. When you make a top, dress or blouse with sleeve cap gathers, you have a choice to make them "puffed" or simply gathered into soft folds. It's all about the way the sleeve cap seam allowances are pressed. Pressing the seam allowances towards the "body" (neckline) of the garment, results in sleeve cap gathers that lay "flatter", and present more subtle folds. It's a small detail, but one that is usually kinder to a mature figure. Directing the seam allowances of gathers one way or the other can make a difference in other areas of a garment. 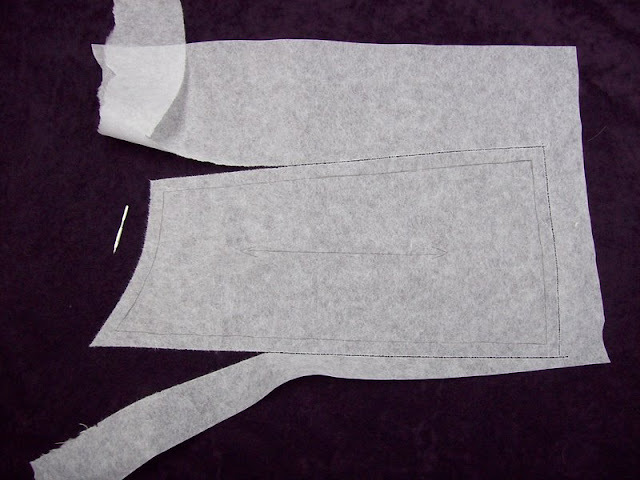 For instance, pressing the seam allowance of a gathered skirt of a dress "up" towards the bodice will encourage the gathers to lay more flat, in smooth folds. Pressing those same gathers "down" (towards the hem) , will encourage the gathers to puff-up. It's all about the look you prefer...and now you know you have a choice. Prompted by the fact that I have almost nothing "nice" to wear this season, I managed to get some sewing done this week. Since I can only stand for limited amounts of time because of my injury, tracing new patterns is not an option for me for a while. So I used 2 of my tried and true patterns, HotPatterns Weekender Sunshine Top, and HotPatterns Metropolitan GoodTimes Top. The gray Weekender Sunshine Top, shown above, is made from a luscious wool/cashmere blend sweater knit. 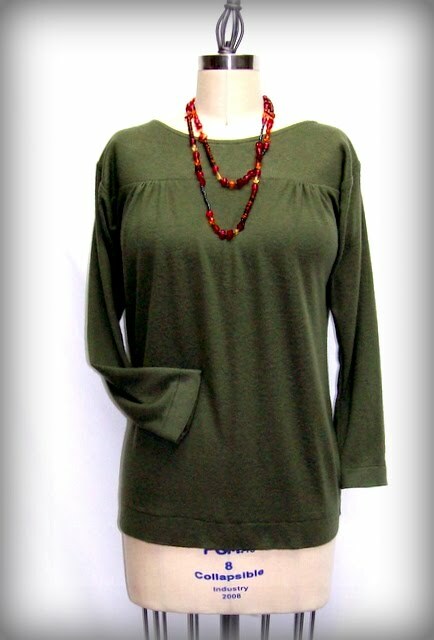 I made the neckband a little wider and lengthened the short sleeves to full length. I am thrilled with the way it turned out..it feels so luxurious! 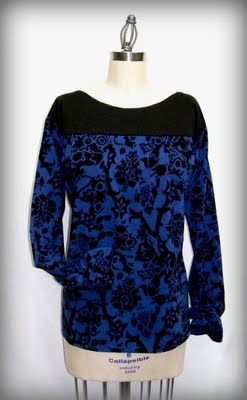 If you have this pattern, do try it with long sleeves for the fall/winter. If you don't have this pattern, it's really worth a try. It's so flattering..makes your waist look tiny and that's always a good thing! I made this style several times last spring, and wrote a step-by-step tutorial about how to sew it. It can be found HERE. Baer Fabrics, now out of business. The Cotton/Lycra Jersey is from Fabric.com. It's very simple...and while not a new concept, I do it a bit differently. 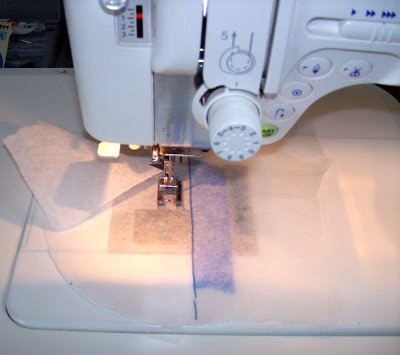 Add the seam allowance to the pattern by stitching around the pattern using an un-threaded needle the desired distance from the sewing line. What's different about the way I do it? Well...I have discovered that by using a large Wing Needle, and a very close stitch (.5-1), the excess pattern paper just peels off. No need to cut out the pattern! I run the pattern through the machine...the traced stitching line of the pattern on the RIGHT....making sure the stitching line of the pattern is on the seam allowance I want. 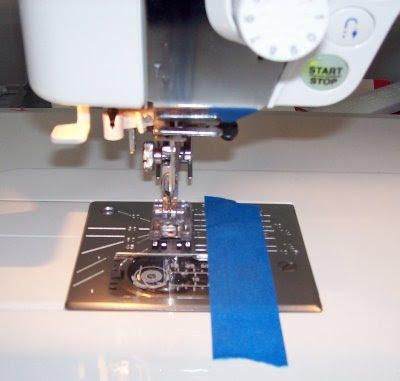 Thus, the needle holes are punched to the left of the stitching line, adding the seam allowance. I can see through the pattern paper easily enough to be able to run the marked stitching line exactly on the 1/4", 3/8", or 5/8" inch line that is marked on the bed of my machine. If I can't see through the paper easily, I just use a post-it or piece of blue "painter's tape" along the desired depth of seam allowance I want to add.